What has Australian aid done for Sports and development? Sport has an important role to play in increasing inclusion – for girls, children with disabilities, youth in remote areas. We give all children the chance to get involved. Whether its football, or canoeing, Australian Aid builds and upgrades recreational areas, as well as making sure communities have all the sports equipment they need to get active. Time to play is a fundamental right of every child. Sport not only provides physical exercise, but helps young people develop skills in leadership, teamwork and respect. Australian Aid is supporting Pass it Back, an innovative new program in Asia, which uses sport to build the leadership and life-skills of young people; enabling them to overcome challenges in their lives and ‘pass it back’ to others in their communities. Here’s the story of Pass it Back. Children living in the Fasi Moe Afi area of Nukuʻalofa take part in a Just Play football program. Developed by ChildFund Australia, the Pass it Back program has started in Laos and Vietnam, and will be rolled out to another nine countries in Asia. Not only does Pass it Back promote the right to play in regions where children have little access to organised recreation, but the program also has a strong focus on increasing the participation of girls. Introducing a previously unknown sport such as rugby into communities makes it easier to encourage girls’ to take part, as it is not traditionally seen as a ‘boys’ sport like soccer. Lao Khang is a young woman from Nonghet district, one of the poorest regions in Laos, due to the high incidence of unexploded ordnance (UXO) contamination. Every year, around 300 people in Laos die from UXOs; almost half are children. After enrolling in ChildFund Laos’ sports for development program, Lao Khang found her passion and has never looked back! Today, Lao’s extraordinary determination and commitment has seen her represent the Lao Women’s National Rugby team. 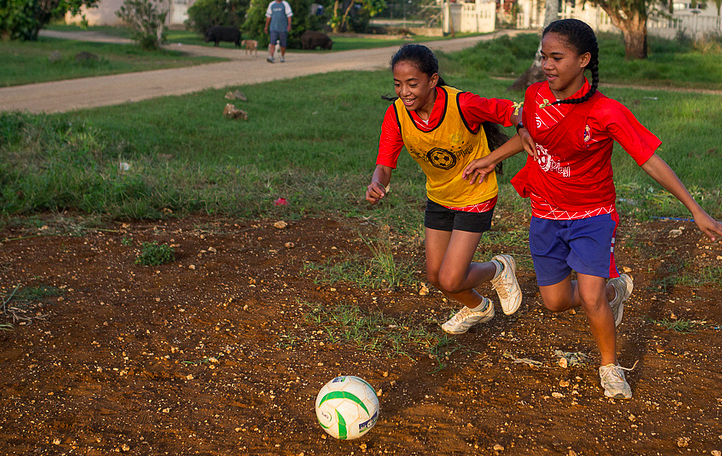 She now works for the Lao Rugby Federation, advocating on the benefits of sport for girls in remote, rural communities. How Australian aid has changed the world for women in Palestine? 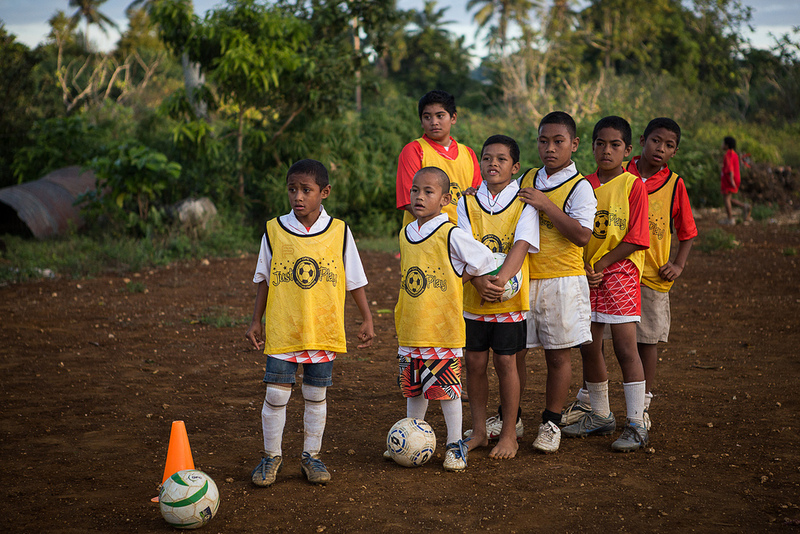 Australian Aid has supported the Oceania Football Confederation’s Just Play program, giving more than 100,000 children the chance to take part in football clinics since 2009. Australian Aid has worked with the Fiji Paralympic Committee to train 26 volunteers to run programs that encourage positive attitudes towards people with disability. In Tonga, 15 villages and 9 schools have taken part in a new fitness and exercise program through Australian Aid, which focuses on creating healthy lifestyles.